Once you and Dr. Sagar Bhargava have made a decision to undergo cataract extraction, you will be faced with several choices. While cataract surgery has advanced tremendously in the last several years, most of the advances have had to do with the transformation of cataract surgery from a medical procedure to a refractive procedure. Cataract surgery can now allow patients to completely eliminate dependence on glasses for distance, intermediate and near. During your visit, Dr. Sagar Bhargava will discuss the intraocular lens options and vision enhancements are available for your particular case. Dr Sagar Bhargava will help you make the best decision, taking into account your lifestyle demands and hobbies as well and any other limitations. 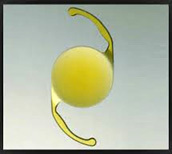 The standard monofocal IOL has been available for many years. It is also a good choice for those who are happy with wearing glasses after surgery. Although the standard monofocal IOL may reduce a patient's need for glasses, it is designed to replace the cataractous crystalline lens once it has been removed. The patient may expect improved distance vision with minimum correction or without glasses . For near vision patient will need corrective glasses. They are of 2 types based on the design. 1. Single piece design – The central and peripheral portion are of the same material. 2. Multipiece design – Then central and peripheral portion are of different material . 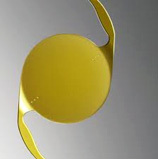 Advantage of this lens is that it can be used in patient who develops a complication like posterior capsular rent. 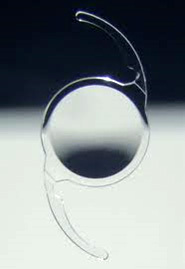 Traditional IOLs are spherical which means the front surface of the the lens is uniformly curved. 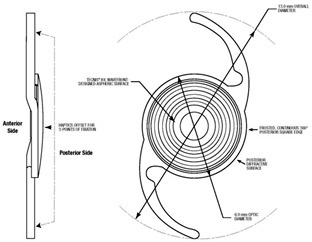 Aspheric IOLs are slightly flatter in the periphery and designed to provide better contrast sensitivity such as the whereas aspheric intraocular lenses are slightly flatter at the edges to provide better contrast sensitivity. This allows images in a similar color to their background to be more clearly defined. For patients with the goal of reducing their dependency on glasses, premium IOLs are good options. Currently available premium IOLs include the toric and multifocal IOLs. Unfortunately, no IOL can guarantee that the patient will be entirely free of glasses. 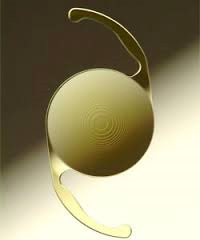 Therefore, it is best to inform the patients that premium IOLs will reduce, but not eliminate, their need for glasses. Toric IOLs : Toric IOLs are best for patients with significant astigmatism who desire less dependency on glasses.Because they also correct patients' astigmatism, toric IOLs will allow improved distance vision without glasses. The weakness that toric IOLs share with standard monofocal IOLs is that they are monofocal, allowing either distance vision or reading vision, but not both distance and reading without glasses (unless monovision is employed). Toric IOLs work best with symmetric astigmatism, but they do not correct irregular astigmatism from corneal scarring or other corneal abnormalities. One possible weakness of toric IOLs is that the orientation of the IOL within the eye is critical to addressing the astigmatism. If the lens is not oriented in-line with the astigmatism, the toric IOL may not correct as much astigmatism as it should, and it may even add to the preexisting astigmatism. Multifocal IOLs. Multifocal IOLs use either diffractive , refractive techniques and diffractive refractive hydbrid lens to allow for 2 focal points: one for distance and one for reading. Multifocal IOLs are best for patients who desire both good distance and good reading vision without glasses. In addition, patients usually experience halos or glare around light sources at night. This is usually mild and tolerable for most patients, . A third weakness is that although currently available multifocal IOLs may allow for acceptable intermediate vision in most patients, some patients find that their intermediate vision is not as good as they would like, affecting intermediate range tasks, such as reading on a computer or seeing prices on store shelves. Furthermore, given the loss of contrast inherent in a multifocal IOL,they generally do not work well in patients with corneal disease, macular disease, glaucoma, or other ocular pathology. Also these lenses cannot be implanted in patients with preexisting astigmatism of more than 0.75 diopter. These are the latest generation of IOL where patients with more than 0.75 diopter preexisting astigmatism can be treated with these lenses to get good unaided distance and near vision.